Plastic bags and other soft plastics will be recycled under a scheme between the government, retail and packaging industry. But the Green Party, who are seeking to introduce a bill to charge for plastic bags in order to reduce waste, say it’s not enough. Environment Minister Nick Smith announced his $1.2 million soft plastics recycling scheme in Wellington on Wednesday, saying it was the logical net step in reducing household waste. “We have made huge progress with most households now recycling paper, cardboard, glass, metal cans and hard plastic containers,” he said. The $1.2 million from the government’s Waste Minimisation Fund is divided into $700,000 for the Packaging Forum and $510,000 to Astron Plastics Group. The recycling service will be located at 51 Countdown, New World, Pak n’Save, Moor Wilson’s and The Warehouse stores across Wellington. But Green Party waste spokeswoman Denise Roche described the programme as a token measure from a government more interested in green wash than saving oceans and marine life. 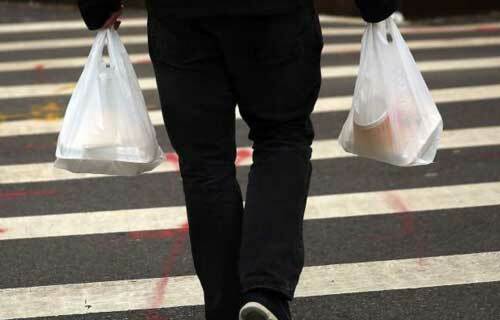 The Green Party this week introduced a Member’s Bill to the ballot seeking to introduce a 15 cent per plastic bag charge across New Zealand in order to reduce the amount of plastic bags going into landfill. “We asked the National Government yesterday (Tuesday) if they would support our Bill, but they wrote it off claiming that plastic bags account for little of our waste,” she said.